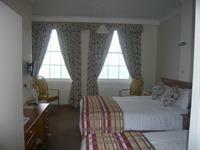 The Berkeley Hotel has 51 bedrooms with a range of layouts to suit our guests. Our Bedrooms consist of double rooms, twin rooms, family rooms and single rooms and are situated over the ground, first, second and third floors. Our lift serves all floors, except for a few rooms situated on a half level off the first floor. Should you need lift access to your bedroom, please ensure that you tell us before your arrival. 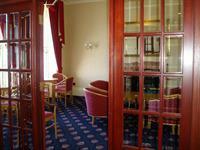 The lift is situated in the middle of the building so is not far from any of the bedrooms. We are fortunate enough to boast 14 front facing bedrooms offering stunning views over Weymouth Bay from the large Georgian sash windows. On the first floor these open out onto the Georgian balconies which cover the buildings along our terrace. The 3rd floor rooms offer different characteristics with their sloping roofs and cosy feel. They offer miles of stunning views of the sea to the front and of the country side and rolling hills to the back, with some of Weymouth life in between! 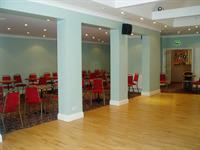 The Berkeley Hotel has a newly refurbished dining room situated on the lower ground floor. To set you up for your day, our breakfast consists of a choice of juices and cereals followed by a selection of cooked breakfasts, toast and preserves. For those who prefer something a little lighter in the mornings we also offer croissants. The Hotel offers a 3 course evening meal offering a range of starters, mains and desserts throughout your stay. Please note that evening meal is served at a set time of 6pm. All our meals are waitress service. Special diets can be catered for. Please contact us to discuss your requirements before arrival. Our ground floor lounge is a quiet place to enjoy the views across Weymouth Bay and the hustle and bustle of the sea front. Our bar is situated on the lower ground floor with lift access. We offer live entertainment up to 4 nights per week and dance floor to enjoy the music.